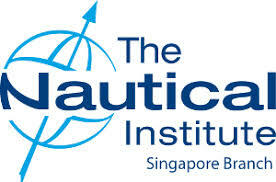 The Singapore branch of The Nautical Institute announced today, it will be hosting its annual conference on 15th May 2019 in Singapore. Over 150 professionals from the maritime industry will attend the third edition of the conference which will be held at the Suntec City Convention Centre. The Guest of Honour, Quah Ley Hoon, Chief Executive of Maritime Port Authority of Singapore (MPA), will be gracing the event and delivering the inaugural speech. Captain Nick Nash, President of The Nautical Institute, will be giving the keynote address. Themed ‘Dealing with Tomorrow’s Challenges Today’, the full-day conference aims to discuss the future of the industry and the opportunities ahead – amidst the many challenges facing the maritime community in the years to come. Participants and speakers will explore how the industry can proactively prepare for the challenges ahead – discussing the anticipated issues from various perspectives including the regulatory requirements, practicality, legal implications, and the impact to both shipowners and seafarers. The conference also celebrates women in maritime, in line with IMO’s World Maritime Day theme for this year: ‘Empowering Women in the Maritime Community’. Four panels of distinguished speakers and industry leaders will offer insights on key topics including new requirements and legislation, disruptive technology, cargo issues and the upcoming challenges of loss prevention.